Florals for summer? It is groundbreaking. The fresh appeal of the floral print is that it can give anything a fairytale type spin. Florals last season were literally blooming; from grunge to chic to striking, this print is always romantic and easily feminine. 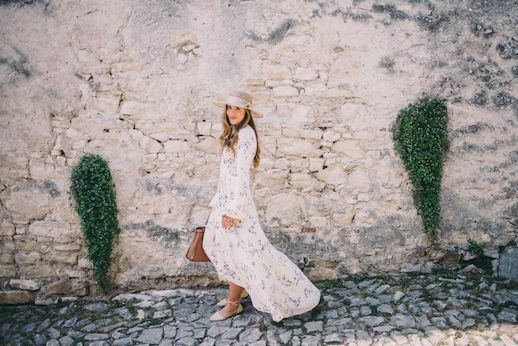 This blogger wore her floral print tie waist maxi dress with wraparound flats, a classic boater style hat, and tote bag.